The rest, as they say, is history: 18 languages, countless millions of copies sold, and billions of dollars to the author. There’s another “as they say” that needs to be attached to this–usually found in weight loss ads–“results not typical.” Obviously, not every book that goes to the Bologna, Frankfurt, London, Beijing or other international “rights” fair is going to yield a billion dollars for the author, but like anything (if I may use yet another cliché), you have to be in it to win it. There are very few avenues that exist outside of international book fairs where professionals in the industry go to find good titles for which they can purchase the rights (Pubmatch is one such venue outside of the trade show floor, which we’ll cover in a future blog), so when the book fairs take place, people take notice. It’s no surprise that popular international book fairs generate attendances ranging from 35 thousand to SEVERAL HUNDRED thousand. What takes place between the opening and the closing of the fair is more or less what Mr. Levine described above: publishers, agents, book buyers and others go from stand to stand (as much as their busy schedules will allow) looking for books that will logically fit on their list or in their market. At an international rights seminar I attended at the 2009 Bologna Children’s Book Fair, someone described the selling of international rights as “found money” what he meant was that if you can craft a contract that both you and the buyer agree on (and make no mistake, this is a long process), you could increase your royalties by doing very little. In essence, someone is paying you for the right do all the work in publishing and marketing your book, and then paying you when the book is sold (contract terms pending of course). 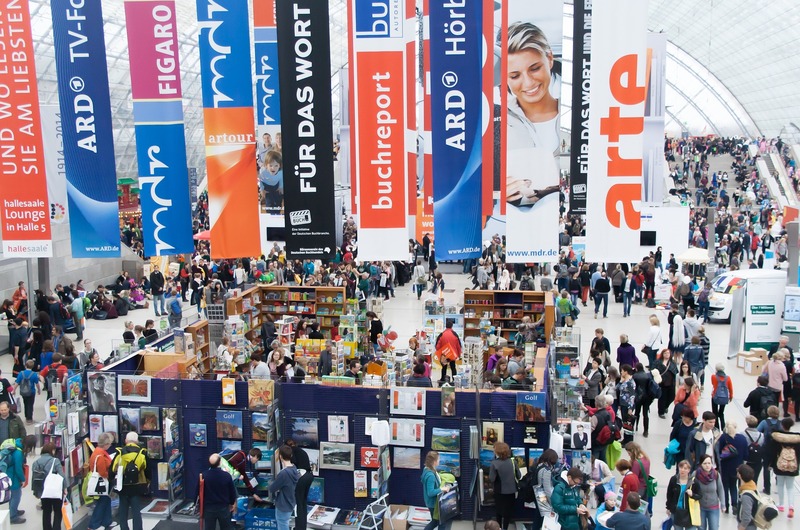 There are several avenues towards getting your book onto the show floor at an international book fair, starting of course with purchasing a stand and heading over to Frankfurt, Beijing, Bologna, etc. Though costly, I’m sure you know the value of face to face contact. For those that don’t have enough of a list of titles to justify such an expense, we at Combined Book Exhibit (along with our sister company the American Collective Stand), as part of our partnership with Infinity Publishing, make space available on our shelves for titles whose publishers or authors are not onsite to represent themselves. We’ll collect all of the information on your book (bibliographic information, a description, contact information for you and/or Infinity–your choice) and make it available to those interested in making contact about your title. Likewise, we collect leads on your behalf so you can communicate with people that are chomping at the bit to learn more about your book. Seth Bio: Seth Dellon has spent the past five years promoting books on behalf of publishers at book fairs around the world whilst working at Combined Book Exhibit and American Collective Stand. He has also spent countless hours researching and helping develop tools as an “idea man” for the online international rights network PubMatch. He lives in New York where he spends most winters disappointed in the Jets. PreviousDid you self-publish a book?